Today I’m going to share a low carb recipe for Garfield’s favorite dish, lasagna. The recipe is based on a great one I found on the Diet Doctor. They came up with something I’d never seen before: a lasagna noodle made from eggs, cream cheese and psyllium husk powder. It’s perfect! It’s got the same texture and firmness as a normal lasagna noodle, but with a fraction of the carbs. Yep, this recipe is a cheesy, spinachy, meaty masterpiece. It’s got eleven layers of low carb goodness. But because of that, it’s not a quick or easy recipe. You’ve got to make each and every layer from scratch, including the noodles. But at the end of it, you’ll have a big plate of Italy’s most famous dish with only 8g net carbs. To make this recipe, you’ll need eggs, ricotta cheese, ground beef, tomato paste, mozzarella cheese, heavy whipping cream, cream cheese, psyllium husk powder, parmesan cheese, garlic, onions and spinach. Start by adding 8 eggs and 10 oz cream cheese to a blender and blending until smooth. 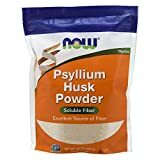 Add 1/2 teaspoon salt and 5 tablespoons psyllium husk powder and blend for 1 minute. Add half of the mixture to one silpat or parchment covered cookie sheet and half to another. Working quickly, spread the batter from edge to edge on each cookie sheet. Cover both cookie sheets with pieces of parchment paper and use a rolling pin to smooth out the batter more. Leave the layers of parchment paper over the cookie sheets as they bake. Bake for 10-12 minutes in a 300 degree F oven, until firm to the touch. Cool on the pan for 10 minutes and then carefully remove the top layer of parchment paper. Cut into 2 1/2 x 11 inch noodles. Boil one pound of spinach in a large pot for 2 minutes. Drain spinach in a colander and press as much water out of the spinach as you can. Chop it up. Mix together spinach, 1 1/2 cups ricotta and 1/2 cup parmesan cheese in a medium sized bowl. Heat 1 tablespoon olive oil in a large skillet over Medium High heat. Add 2 cloves garlic and 1/2 cup onions and saute for 2 minutes. Add ground beef and saute until completely browned, 5-8 min. Add 3 tablespoons tomato paste, 1/4 cup water, 1/4 cup cream, 1 teaspoon salt, 1/4 teaspoon pepper and 1 teaspoon Italian seasoning to the pan and cook for 1 minute more. Layer your ingredients in the casserole dish like this. The total amount of mozzarella is 2 cups and parmesan is 1/2 cup. Bake in 400 degree F oven for 17-20 minutes until nicely browned on top. As you can see, it’s going to take some time and a little elbow grease. But soon you’ll be enjoying a nice big plate of lasagna, the dish beloved by fat cats and humans alike. This recipe for low carb and Keto beef and spinach lasagna uses psyllium husk noodles in place of high carb lasagna noodles. That means that each serving has just 8g net carbs. 1. Pre-heat oven to 300 degrees F, and set a large pot of water to boil on the stove. Spray a 9 x 13 inch casserole dish with cooking spray. Cover 2 large 11 x 16 inch cookie sheets with silpat silicone mats or parchment paper. 2. Add eggs and cream cheese to a blender and blend until smooth. Add 1/2 teaspoon salt and psyllium husk powder and blend for 1 minute. 3. Add half of the mixture to one cookie sheet and half to the other. Working quickly, spread the batter from edge to edge on each cookie sheet. Cover both cookie sheets with pieces of parchment paper and use a rolling pin to smooth out the batter more. Leave the layers of parchment paper over the cookie sheets as they bake. 4. Bake for 10-12 minutes in the 300 degree F oven, until firm to the touch. 5. Cool on the pan for 10 minutes and then carefully remove the top layer of parchment paper. Cut into 2 1/2 x 11 inch noodles. 6. Boil spinach in a large pot for 2 minutes. 7. Drain spinach in a colander and press as much water out of the spinach as you can. Chop it up. 8. Mix together spinach, ricotta and 1/2 cup parmesan cheese in a medium sized bowl. 9. Heat olive oil in a large skillet over Medium High heat. Add garlic and onions and saute for 2 minutes. Add ground beef and saute until completely browned, 5-8 min. 10. Add tomato paste, water, cream, remaining 1 teaspoon salt, pepper and Italian seasoning to the pan and cook for 1 minute more. Pre-heat the oven to 400 degrees F.
11. Layer your ingredients in the casserole dish. The layers should go: 4 noodles, 1/2 of the beef mixture, 1/2 of the ricotta mixture, 1/3 of the mozzarella, 4 noodles, remaining beef mixture, remaining ricotta mixture, 1/3 of the mozzarella , 4 noodles, remaining mozzarella, remaining parmesan cheese. 12. Bake in 400 degree F oven for 17-20 minutes or until nicely browned on top. If you liked these low carb noodles, then you might like my recipes for Lupin Flour Fettuccine Noodles or Egg Noodles. This keto lasagna looks delicious and it’s healthy at the same time. This is the perfect recipe that I am looking for for my mom since she’s on a diet. Thank you for sharing this one. Sure thing! Hope you and your mom like the recipe. This would make such a joyful and yummy dinner in weekends and looks delicious.